This Merax 3-drawers File Cabinet is compact and safe option for business or home office where space is limited. The bottom drawer keeps your documents organized and accommodates letter or legal size files while two drawers above provide additional storage space for your small items. 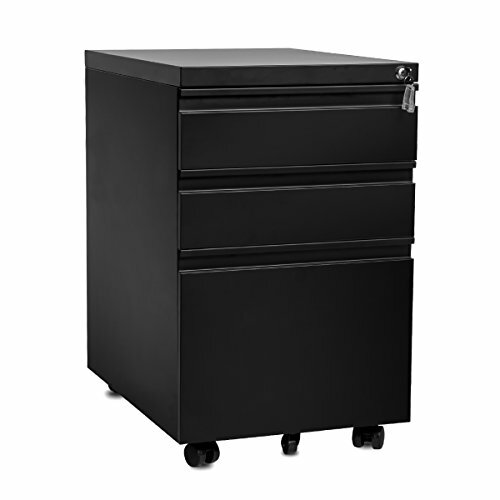 The appropriate dimensions (H25.59" x W14.96" x D19.68") makes it applying to most desks and five wheel casters (one under file drawer for stability) create easy mobility. * Inside of lower draer: 12"W x 15.2"L x 9.8"D.
Fully assembled except the wheels.